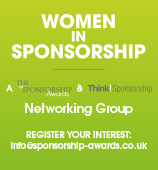 UK Sponsorship Awards 2019 - Why Should You Enter? The 2018 edition of the UK Sponsorship Awards, held at the London Marriott Hotel, attracted over 500 people – a full house. Initial preparations are now underway for the 2019 edition, which we expect to attract a similar size audience. This event will also be held in the London Marriott Hotel Grosvenor Square’s banquet hall, which right now is undergoing an exciting design refit ahead of the upcoming autumn event season. The UK Sponsorship Awards attracts many loyal supporters from the sponsorship industry who attend the event year after year. But for those of you who haven't attended – or have been absent for a few years - we thought it would be worth exploring some of the reasons why it is so valuable to enter the UK Sponsorship Awards and, maybe, win or secure a place on the shortlist. What, in other words, are the business benefits in taking the time and effort to do so? Below we list some of the reasons that persuade the world’s most famous marketing brands and agencies to come back year after year. The best award programmes act like an objective external audit of both your strategy and your b2b communications skills. By allowing your peers (the award judges) to assess your work (and your ability to articulate it), you can gauge whether your approach is as robust as you think it is. If you win an award that’s great… because it’s something that you can show the client or the board (perhaps protecting your department’s budgets for the coming year). But if you don’t make the shortlist, it’s an opportunity to ask why, to try and develop a constructive conclusion that will inform future plans. The entry process itself can be valuable if it is treated as an opportunity for corporate self-reflection. It is an opportunity to have an internal dialogue around a particular sponsorship campaign and identify its core strengths – maybe even sparking ideas for future work. In preparing nominations, you’ll also end up with a document that can be used in other ways. You can post it on your own website or send it as proof of capabilities to a potential business partner. Anyone who has attended the UK Sponsorship Awards (or any awards for that matter) will know how pleased people are to win or be shortlisted. Entering Awards is one way of showing you value your team’s efforts… that you have monitored their progress through the year and are proud enough to showcase it to the wider industry. Even if you don’t win, you’re sending a message to your team that what they do really matters. Over the years, the UKSA categories have been expanded so that they recognise different skillsets, different spheres of activity, rising talent and industry leaders. So there are numerous ways to pat people on the back. Clearly Awards aren’t enough in themselves to boost team morale, but they play a part. They can also encourage team collaboration and cohesion. Awards are a way of alerting established and young talent to your company’s capabilities. Demonstrate you are a digital pioneer, for example, and it may attract tomorrow’s business decision-makers. One of the biggest determinants of future success is the people you recruit – so don't miss the opportunity to showcase your expertise. Winning an Award attracts industry attention and can lead to new work opportunities. It would be wrong to suggest that one Award is life-changing, but there’s no question that successful marketing services companies, brands and rights holders know how to make good use of their Awards track record. It is present on their websites, their letterheads, their emails etc… There’s no hard science to back it up, but it stands to reason that agencies with numerous notches on their belt will be more likely to be on pitch lists and better-placed to ignite conversations with brands (a benefit that may be particularly valuable to smaller companies seeking to establish credibility in a particular sector). There are even those in the industry who suggest awards can be an effective sales tools. At Cannes Lions 2017 (the world’s biggest marketing communications awards programme), consultancy McKinsey used past results to show a clear link between creativity, innovation and company success. Entering awards programmes doesn’t necessarily mean your company is creative/innovative, but winning them or appearing on shortlists is a good indicator – and that won't be lost on potential partners. It’s not always easy to be objective on Awards nights, but there is a value in seeing what your rivals have been doing. It can spark fresh ideas, crystallise trends more clearly and give insight into industry best practice. Like anything in life, awards should be regarded as a useful learning experience. In the case of the UK Sponsorship Awards, around 70-80 different sponsorship campaigns are showcased during the course of the evening. Over the years many awards entrants have observed how rival campaigns can inspire and motivate them to deliver better work themselves. This is more true than ever now technology is changing the industry so rapidly. One important fact about UKSA is the way we change categories each year to reflect trends such as digital, data and content marketing. Awards nights are good fun. So entering the UK Sponsorship Awards is a good way for an agency or consultancy to get some valuable face time with their client. It’s unlikely to result in much deep strategy being discussed, but it is a way of reaffirming a bond and trying to ward off competition for a brief from rivals. Remember, the majority of people attending the Awards are winners and shortlisted organisations, so there’s a mood of success and achievement in the air. Anyone who works in corporate hospitality will also tell you that cutting back on or avoiding event-based activity can present its own problems. Rivals rarely assume that you have cut back for sound marketing reasons. They tend to see it as a sign that something isn’t quite right creatively or financially within your company. Trade magazines (paper and digital) often give good coverage to major awards events. They also sometimes follow up with profiles or analysis stories. At very least, winning an Award is an opportunity for a PR exec to approach a magazine or journalist to tout for coverage. Award entries can also form the basis of case studies that can be displayed on various industry websites. A well-written case study has a lifespan of at least a year, which means it can also do the rounds at various industry events. In addition to this, UKSA has its own website where winners and shortlisted entries are collated in a Book of the Night. The website also contains numerous news and feature stories that make mention of eye-catching UKSA campaigns. Winning case studies can also show up in academic and marketing books. Careful category selection can help your company address a particular business agenda. If you want to highlight the green or diversity dimensions of your company, for example, you can use those categories to a) stress test your claims in these areas and b) showcase them to public and private stakeholders. Simply by appearing alongside certain other companies on a shortlist, you can begin to adjust opinions about what your brand stands for. There are many award events showcasing marketing communications – but none that take such a comprehensive approach to sponsorship in all its forms. The UK Sponsorship Awards is the biggest sponsorship awards in Europe and leads the way in category innovation. It provides a rare opportunity for experts in the arts, entertainment, sport and media to learn from each other and cross-fertilise ideas. It is also supported by an expanding event programme, organised in partnership with Think! Sponsorship. "The launch period for the SSE Hydro was the culmination of a lot of research and development to create a compelling customer benefit programme to Energise Entertainment through SSE Reward. It meant a huge amount to the team and our agencies that the success of our strategy was endorsed independently by the UK Sponsorship Awards." “Winning a Sponsorship Award was credible acknowledgement of our hard work, our creativity and our investment, an appreciated nod from the industry and our peers. For an in-house Communications department, this was independent evidence to the business that our strategy was clever and effective.